Everyone’s favourite Mahira Khan recently spent time with the Afghan Refugees in Karachi and shared her experience with them on social media. 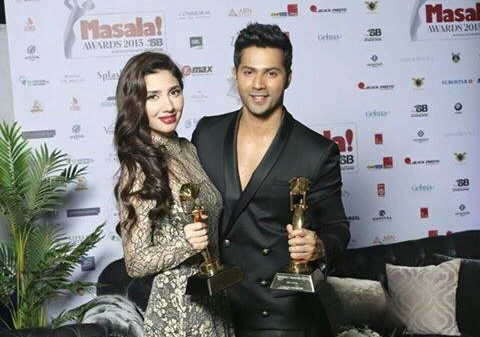 Sharing photos from the drive, on which she went with the United Nations High Commissioner for Refugees (UNHCR), Mahira said she met two boys who were big Varun Dhawan fans. “These two boys followed me around the whole time. They hadn’t watched any of my films but they insisted they knew someone called Raja. They said ‘Raja hero hai!’. We kept trying to guess who they are talking about. Finally they sang a song from Varun Dhawan’s film. They also said they want to be like him. Told them one day inshAllah they will be,” she wrote alongside the photos. Looks like Mahira is also a favourite across the border. Mahira also shared pictures from her visit in which she can be seen spending time with the refugees and children. She wrote that she is “proud to say that my country is one of the most generous countries of the world,” and applauded the government and people of Pakistan for supporting and hosting Afghan refugees for nearly forty years.